The Anglican Church of Burundi joined the celebrations for Tree Day this month that focused on the protection of forests for sustainable sources of energy. 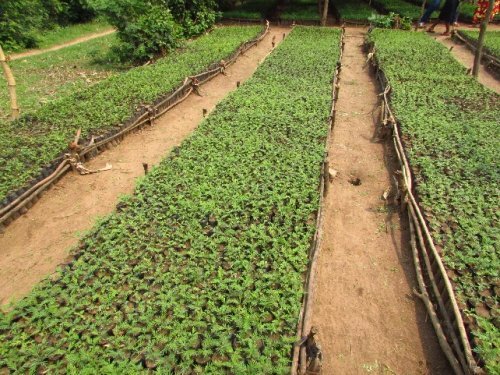 With the support of Episcopal Relief and Development (ERD) and Norwegian Church Aid around 1.5 million trees have been provided and planted on public and community land. Forests in Burundi are an important resource as they produce fire wood for energy and furniture that is used by a major part of the population. In every diocese disaster committees have been set up to work with community groups to prepare tree nurseries and work towards environment protection. 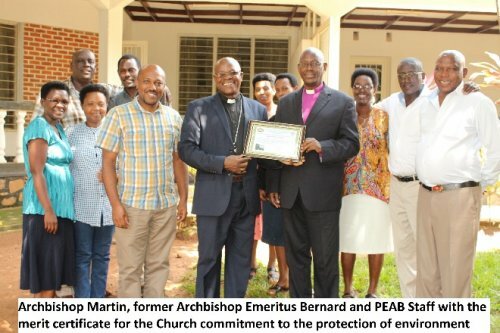 The Government of Burundi through the Ministry of Environment has awarded a Certificate of Merit to the Anglican Church of Burundi for its commitment over the past ten years to preserve the environment, during which time more than 12 million of trees have been planted. Supporting communities to cover hills and mountains with trees, protecting land against soil erosion by digging trenches, encouraging agro- forestry, providing water sources and protecting lakes and rivers have been the main areas in which the Anglican Church has been working in the country. Archbishop Martin Blaise Nyaboho said that it was a pleasure to receive the certificate while his predecessor Archbishop Emeritus Bernard Ntahoturi who led the Province for eleven years was in the country.